Sources say that the reason the number of foreign and local trips by the Deputy President have reduced is because the office is broke. Since the Treasury enforced budget cuts, allowances remain unpaid. As the budget cuts continue to bite, some now say the move is intentional and aimed to frustrate the Deputy President William Ruto. For instance, his media crew, drivers, security and protocol officers are yet to receive their allowances since last year. As a result, they cannot move around the country as freely as they want to. 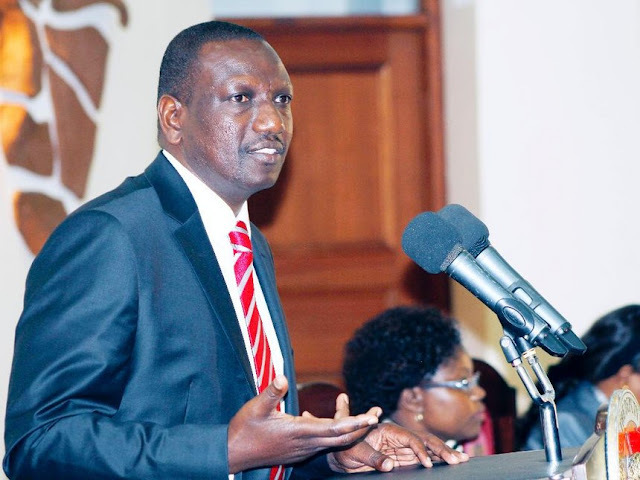 The move could be seen as part of a scheme to curtail the countrywide activities of the “tanga tanga” team made up of politicians rooting for Dr Ruto’s 2022 presidential ambitions, who have been accused of engaging in early campaigns that threaten President Uhuru Kenyatta’s legacy. The Star reports that they received their last allowance on August last year when the Deputy President visited Marsabit. What is interesting is that those in the Presidential Unit have been receiving their allowances as usual. State House Comptroller Kinuthia Mbugua controls the Deputy President Office' budget. The move is said to aim at lowering political activity across the country fanned by DP Ruto's men. Since the appointment of Dr Fred Matiang'i as the head of the CS committee, the Deputy President has also reduced delegations that would visit his Karen home. The spokesman to the Deputy President denied these claims saying everything was well. I have heard suggestions — some even by opposition leaders — that the National Executive should be expanded to accommodate a prime minister as well as two deputies as a means of addressing the winner take it all challenge. This suggestion has two problems: It does not solve the problem which is that we need a functional, constitutional official opposition and the positions, if created would still be taken by the winning party.